More information about your rental investment! In the first article we covered why commercial letting in Malta is doing so well, primarily because of the influx of foreign investment and better opportunities for local enterprises to grow. We also started to cover the basics for anyone considering to invest in commercial property as a means of generating income and in this article, we shall conclude all other pointers for the prospective Lessor. Calculating your expected annual return (yield) as well as identifying the right property to invest in are crucial, as we highlighted in Part One. However, it is not just the property that needs to be studied but also the possibilities it can offer! The Malta Environment and Planning Authority has recently been separated into two different entities; the Planning Authority and the Environment and Resource Authority. Technically, the title of this particular subject should read PA Permits and Applications but we wanted to ensure everyone knows of the above change in Organization before referring to the Authority by its new name. For those who are completely new to the subject, here is a list of the Commercial Property Categories which fall under the Planning Authority Permit Guidelines. As is clearly visible, the list of categories and sub-categories is vast but this makes applying for a permit much more straight-forward. The Lessor however, still needs to research a few more things before deciding which permit to apply for. The Planning Authority is very strict in what type of commercial entity can be developed in a particular zone and as such, one must make use of the Official Map Server found on the PA website - www.pa.org.mt. This tool provides accurate and detailed information about each particular zone in Malta and all the restrictions too. One can locate the exact GPS Position (Latitude and Longitude) of the premises from this tool and based on the location, the PA rules for the particular zone can be obtained to find out what can and cannot be developed as a commercial property. A qualified architect is usually brought in at this stage to verify all the possibilities and restrictions. The last (and most time-consuming) part would then be obtaining the Permit itself. Of course, many premises already hold the permits they were designed to have for their particular use but it is always recommended to double check and ensure no infringements are in place. A new development would need to go through a FDP (Full Development Permit) process to obtain a permit whilst some properties would only need a change in Class. So how does one establish what is needed for the permit and how does one go about it? Put simply, a ‘change of use’ permit is very straight forward, such as changing a retail outlet to an office (4B into a 4A). If the property is within the set guidelines, this change usually takes no longer than four weeks to be processed and comes with a fixed fee of €250. A Full Development Permit takes approximately four months to be issued (either for a new building or, for example, changing from a 4A to a 2C) and one must conform with much stricter guidelines. The cost also varies based on the type of permit required, actual size of the property and so on. Environment Fees also need to be considered and FDP costs can exceed €10,000 in total so one must carefully research and plan what is needed. This is a very broad question/ subject and of course, one must look at his or her personal financial status when considering the amount of money that can be comfortably spent on an investment. It is always vital to have a decent, significant amount of liquid cash left over in any purchase and rental investment is no different. Financial institutions in Malta, such as Banks, do offer financing which is specifically there for such investment though rates are usually slightly higher than personal or home loans. Gross Yield on Year 1 (based on the formula used in Part One of this series) would be of 2.85% after taking into consideration the €105,000 of Stamp Duty which needs to be added to the Total Spent. Gross Yield on Year 1 (using the same workings) would equate to 4.59% so even though the Lessor in Example 1 would be getting more actual money than the one in Example 2, the latter would be getting almost double in terms of return on investment! One of the great misconceptions here in Malta is that a Premium can be charged in any scenario and that the amounts can be made up on impulse. In our experience, unrealistic Premium is one of the most common reasons for a deal to fall through. In simple terms, a premium is a fixed sum of money a property owner can demand when selling or leasing out a commercial property. This can represent a form of goodwill (in case the brand is remaining with the new Lessee) or used as a form of remuneration/ compensation for any special work done to the premises or installation of equipment. In some cases, a premium is asked as a direct replacement of a high monthly cost. A few of these cases can work against finding a Lessee and will be discussed in the final part of this article. Unfortunately, some Lessors also ask for a premium for no particular reason except to try and cash in on their investment a little too quickly. One must keep in mind that whilst someone is willing (and able) to pay an extra sum just because the property itself has massive potential, the Lessee has to retain liquidity in the event that the business does not live up to expectations at the start. 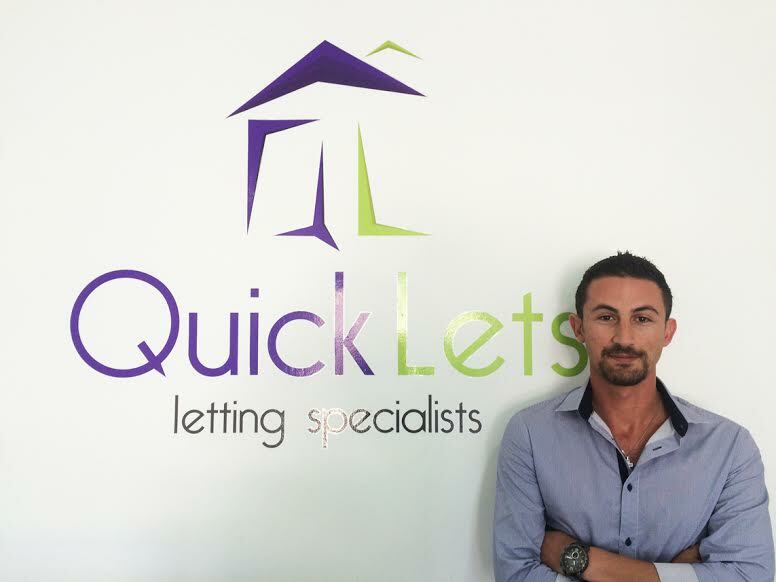 Think about it this way - if you have found an excellent Lessee to lease your premises and are comfortable with receiving just the rent (at a fair price) would you risk your Lessee not having enough money in case of the above or to reinvest into the business and potentially terminate the agreement early? Commercial Property Investment is a long term investment and whilst everyone has the right to receive the funds they feel justifies their effort and investment, being in this market for the ‘quick buck’ will not work. In conclusion, any type of property investment can render a significant return if proper planning and execution is prepared before you part ways with your money. Commercial Letting is a booming market and one which benefits from much more stable prices than residential letting i.e. your expected return on investment forecast should match the outcome if done properly. Next time, we will delve into commercial letting from a Lessee point of view and explore all the possibilities one can look forward to when choosing to lease the premises rather than purchase it.